Born into a Virginia family whose members had for generations assumed public leadership roles, Robert E. Lee followed the path of his illustrious father and became a soldier. Robert had a remarkable record as a West Point cadet, finishing second in his class, with no demerits in four years, and then pursued a career as an engineer in the U.S. Army. The Grants had been in Massachusetts since first half of the seventeenth century. The family eventually moved west in search of opportunity. Jesse Grant, the father of Ulysses, was a hard-working man who built a successful tanning business. He insisted that his sons be educated. Ulysses Grant would attend West Point reluctantly. He was an outstanding horseman, but other than that his record was not distinguished. It would not be until the Mexican War that his exceptional military talents would begin to emerge. Before the Revolutionary War, the Lee family was firmly established in the Virginia gentry. Robert's father, Henry "Light-Horse Harry" Lee, was a hero of the Revolution, later a governor and congressman, and an intimate friend of George Washington. The "Father of his Country" was a constant presence in Robert's life, even though Washington had died eight years before his birth. When Harry Lee disgraced his family through financial dealings, and his political and legal squabbles led to a self-imposed exile, his son Robert would all the more embrace the Washington legacy. He even married Mary Randolph Custis, the great-granddaughter of Martha Washington. A sense of duty, with a touch of practicality, carried Lee to West Point, where he excelled, famously receiving no demerits in four years. Ambition and accomplishment were the hallmarks of his thirty-year career in the prestigious U.S. Army Corps of Engineers. His duty assignments carried him across the nation and beyond its borders: he served in Georgia, Virginia, Washington, St. Louis, New York, Mexico, Baltimore, and West Point. After duty as superintendent at the Military Academy in the early 1850s, Lee transferred from the corps of engineers to a newly formed cavalry unit assigned to Texas. His frequent separations from his wife and children often caused Lee periods of discontentment. The death of his father-in-law, G. W. P. Custis, forced him to take a leave from the military and return to Virginia in 1857. Lee took up farming at Arlington House and confronted the challenges of managing the Custis family slaves. According to Grant in his Memoirs, his family was rooted as deeply in American soil as were the Lees. Ancestors were in Massachusetts by 1630. Unlike Lee's early life, however, Grant's Ohio boyhood, time at West Point, and first years of army service gave little indication of his remarkable talents and future greatness. Jesse Grant, his father, was an intelligent, opinionated, and ambitious man who ran successful tanning businesses. He instilled in his son a Yankee practicality and a will to accomplish. Hiram Ulysses attended West Point, where he became “Ulysses S.” and never rose above a middling class standing. Upon graduation, Grant planned only a brief army career but soon demonstrated remarkable talents for organization and leadership and found army duty to his liking. He served first in Missouri, then Louisiana, and soon found himself a participant in the Mexican War. Although not provided with many opportunities to shine, Grant served with valor. 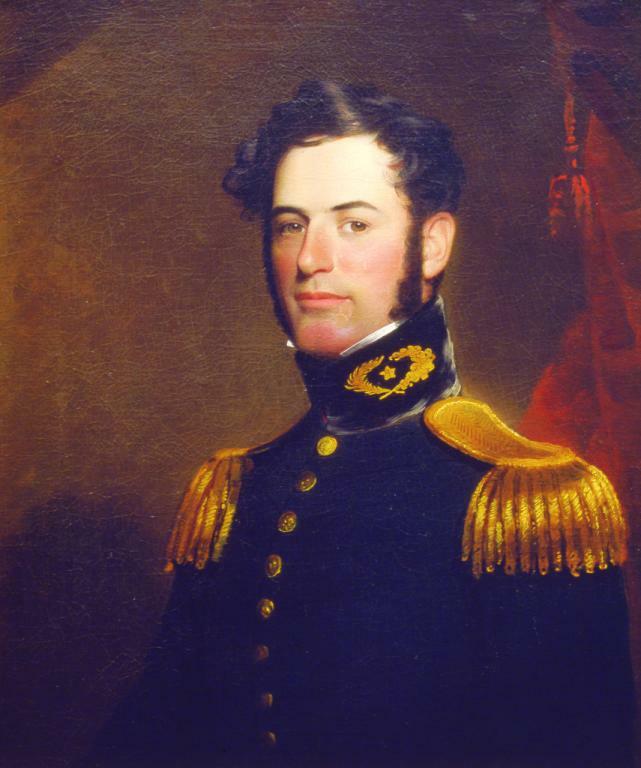 After the war, the first lieutenant married Julia Dent of St. Louis, the sister of his West Point roommate. He was assigned as quartermaster to Sackets Harbor and Detroit on the Canadian border, but soon found himself in the remote Pacific Northwest. Separation from his family may have led Grant to turn to alcohol. Ultimately, he quit the military. After settling on property belonging to his wife's family near St. Louis, Grant took up farming assisted by hired slaves. As with many of his early pursuits, he was remarkably unsuccessful. Eventually, Grant freed William Jones, the one slave he actually owned, and retreated to his father's leather goods business in Galena, Illinois. In Mexico, the careers of Captain Lee and Lieutenant Grant intertwined for the first time. Each would later question his nation's right to invade its weaker neighbor, but at the time they welcomed combat as an opportunity for career advancement. Appalled by the carnage that they witnessed in Mexico, both Lee and Grant would strongly oppose the idea of war in 1861. Grant saw combat duty in 1846 under Gen. Zachary Taylor, winning acclaim among his immediate peers for a heroic horseback ride under fire through the streets of Monterey. Lee served on the staff of General Winfield Scott, learning the importance of launching bold offensive strokes, especially when commanding the smaller force. Lee won Scott's praise as "the very best soldier that I ever saw in the field." Both Lee and Grant participated in Scott's march from the coastal town of Vera Cruz to Mexico City. Grant gained wartime experience as a quartermaster, Lee as an engineer who positioned troops and artillery. Both did their share of actual fighting. At Vera Cruz, Lee earned a commendation for "greatly distinguished" service. His brilliance and bravery continued to be tested in the following weeks as he endeavored to match the martial accomplishments of his father. 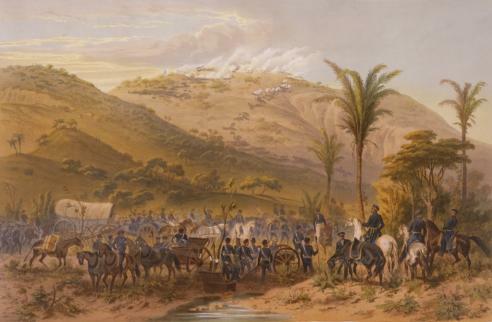 Grant was among the leaders at the bloody assault at Molino del Rey, and both soldiers were among the forces that entered Mexico City. Colonel Robert E. Lee was at Arlington House in the fall of 1859. 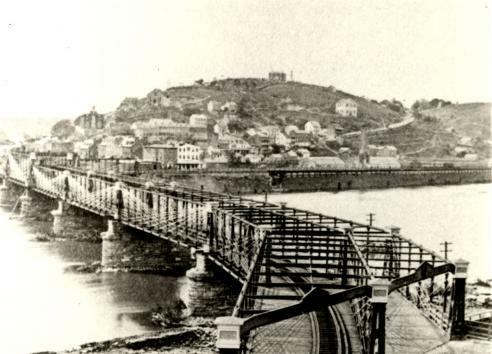 This allowed President James Buchanan to send him to nearby Harpers Ferry to stop an attempt by abolitionist John Brown to incite a slave uprising. Even a minor disturbance at this transportation center would have troubled many Virginians. The town was the site of a federal arsenal; the guns stored there could easily fall into hostile hands. Rumors began to fly when Brown, already famous for his cold-blooded massacre of proslavery advocates in "Bleeding Kansas," led a band of insurgents to the area. By the time Lee arrived, which was before any slaves were freed or armed, the angry townspeople had fought a pitched battle with the intruders, forcing Brown to take refuge in a fire-engine house within the arsenal. Colonel Lee, assisted by troops that included a young Lt. J. E. B. Stuart, quickly captured Brown and his men. Lee considered the raid "the attempt of a fanatic or madman." He mistakenly thought it would do nothing to end slavery. But Brown understood that his martyrdom would force Americans to confront the moral issues at the root of the institution. The nation's best writers quickly seized on this point. William Cullen Bryant ranked Brown as one of the "martyrs and heroes" of our country. "Brown would make the gallows as glorious as the cross," wrote Ralph Waldo Emerson, and Herman Melville would later call Brown the "meteor of war." 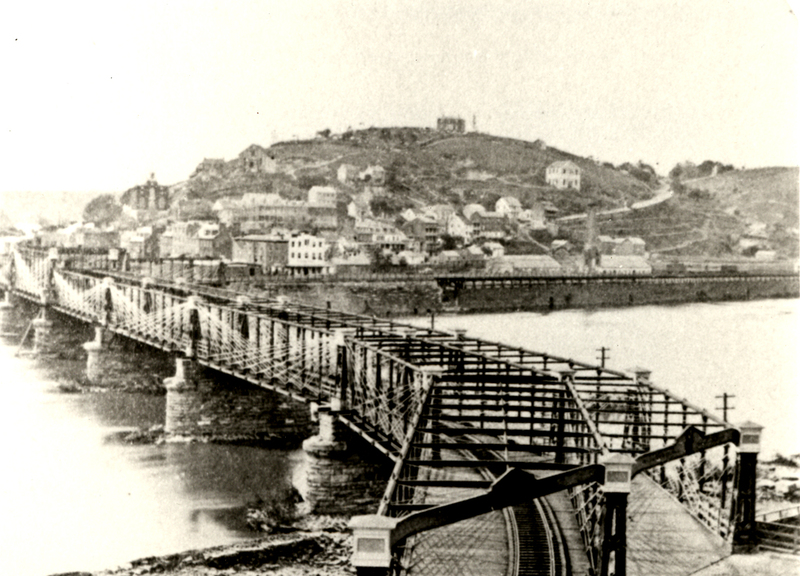 Although both Lee and Grant hoped to preserve the Union, by the spring of 1861 a war between North and South was inevitable. Lee was given the opportunity to command the large army that Lincoln would put into the field to crush the rebellion. He famously refused, stating that he would not raise his sword against his family and homeland. 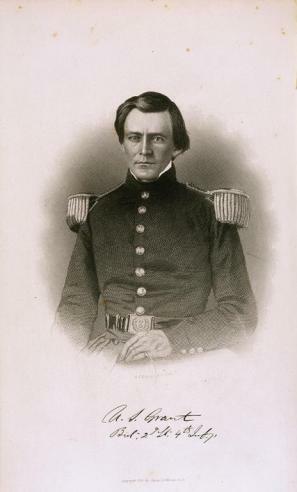 Grant, who on the eve of the war worked in his family’s leather store in Galena, Illinois, was appointed to command of the 21st Illinois Infantry Regiment in June 1861.